How to test Cloud API keys. 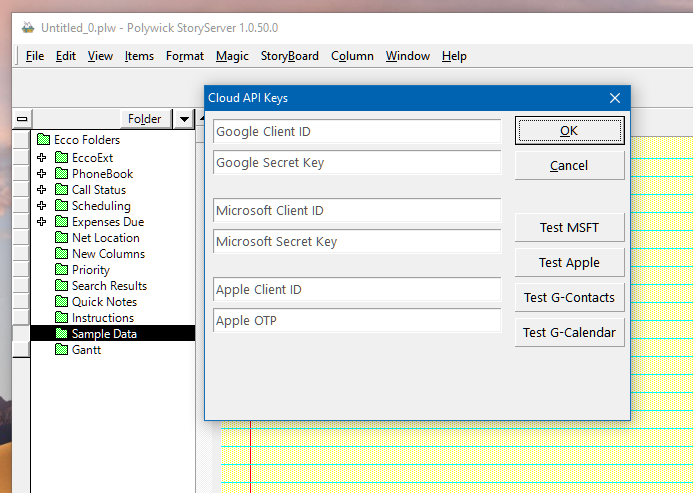 How to configure Apple, Google and Microsoft Cloud Keys. Enter your Google client-keys …​ to connect to Google Cloud Engine. Enter your Microsoft client-keys…​ to connect to Microsoft Cloud. Enter your Apple client-keys …​ to connect to Apple iCloud. Keys are specific to file.